Listen to Techno Music 365 days a year. Listen to full sets of the best Techno Djs in the world. Dj Dave Clarke presents His live set of Techno live at White Noise Podcast 690. This set of Dave Clarke was recorded on March 23, 2019. Download mp3. 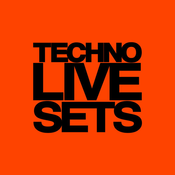 The set White Noise Podcast 690 23-03-2019 by Dave Clarke appeared first on Techno Live Sets . Dj Sasha presents His live set of Techno live at Last Night On Earth Podcast 047. 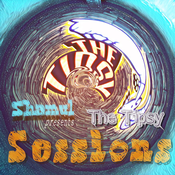 This set of Sasha was recorded on March 31, 2019. Download mp3. The set Last Night On Earth Podcast 047 31-03-2019 by Sasha appeared first on Techno Live Sets . Dj Marco Bailey presents His live set of Techno live at MATERIA Music Radio Show 051. This set of Marco Bailey was recorded on March 22, 2019. Download mp3. The set MATERIA Music Radio Show 051 22-03-2019 by Marco Bailey appeared first on Techno Live Sets . Dj Steve Rachmad presents His live set of Techno live at Circoloco Radio 078. This set of Steve Rachmad was recorded on March 25, 2019. Download mp3. The set Circoloco Radio 078 25-03-2019 by Steve Rachmad appeared first on Techno Live Sets . Dj Joris Voorn presents His live set of Techno live at Spectrum Radio 099. This set of Joris Voorn was recorded on March 17, 2019. Download mp3. The set Spectrum Radio 099 17-03-2019 by Joris Voorn appeared first on Techno Live Sets .